The MLB honors the great Jackie Robinson on April 15th of every year. This year, like years before will have every player wearing the #42 instead of their own number. We will also see this patch on the sides of the team's hats and sleeves of their jerseys. 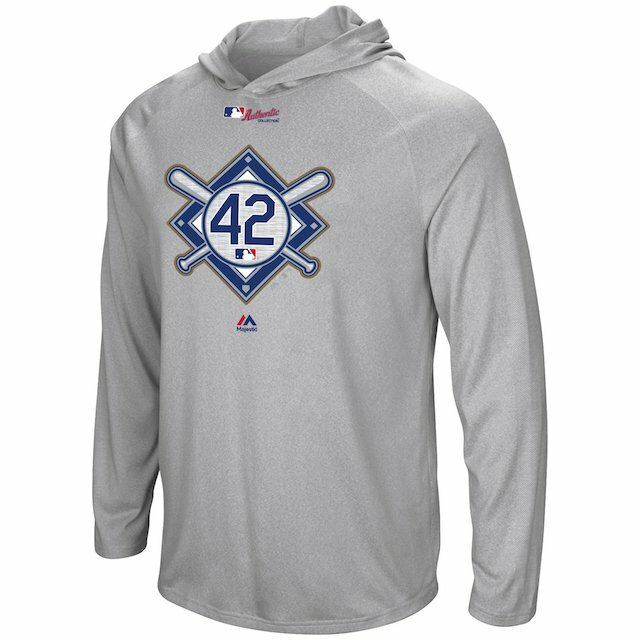 In addition to the hats and jerseys each player will be given special Jackie Robinson 42 socks they can wear in game and hoodies for BP.